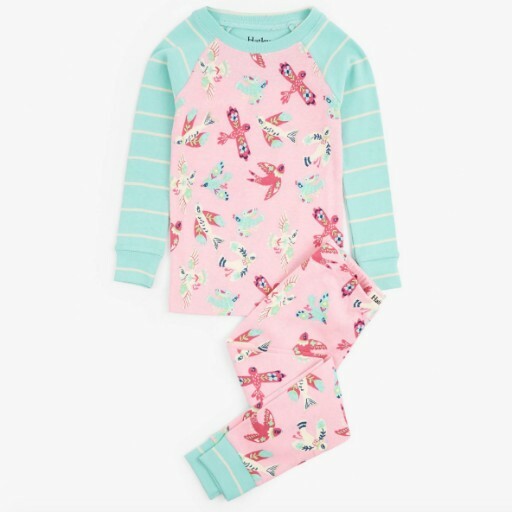 Playful, colourful and oh-so-soft, these GOTS certified organic cotton birdie pajamas are slumber party ready! Did someone say pillow fight? Features: Eco-friendly 100% organic cotton Made to be snug fitting Raglan sleeves Elastic waistband Contrast neck and cuffs trim Gusset at inseam Machine washable GOTS certified 100% organic cotton pajama.